It’s just after 2 p.m. at Spring, the sharp-and-chic restaurant a few blocks from the Louvre in Paris. Chef/owner Daniel Rose, 35, is leaning on the counter of the open kitchen, discussing the daily deliveries with two colleagues. The evening service is fully booked (it’s not unusual for this 45- to 60-seat restaurant to have weekend waiting lists of 60 people), and already the kitchen is coming to life. Over the course of the next two hours, the remaining staff begin to trickle in, each young cook strapping on his or her blue apron before tackling the mise en place. Tucked away on a dark side street at number 6 rue Bailleul, Spring doesn’t grab you at first sight. Yet in the three short years since it opened, it has become one of the hottest tickets in town. What’s the appeal? First, perhaps, it’s far from the usual storybook Parisian restaurant. The look is minimalist, as in concrete floors and unadorned white stone walls; the style here is centred on the plate. The set menu changes weekly, and the room’s ambience surrounding all that lovely fare is fun—far from the usual temples de la haute gastronomie we’ve come to expect in Paris. Opened by Rose seven years ago, Spring started out as a tiny bistro in the 9th arrondissement featuring a €36 menu. With no clear vision of what he wanted to do, Rose chose the name because he wanted to convey an image of renaissance, energy, and youth. Success was swift, so in 2010, the restaurant grew, moving to the 1st arrondissement into a renovated 17th-century house and taking on a more serious style of modern French cuisine. Don’t think “molecular” here; the local-ingredient-driven plates emphasize texture and flavour over flash and fuss. Recent dishes include raw sea bass from Normandy with oysters, Corsican grapefruit, and veal jus vinaigrette; saddle of lamb with sweetbreads and watercress; pineapple and lychee salad with ginger and vanilla; and passion fruit vacherin. The wine list is another draw, as is the dynamic wait staff. A native of Chicago, Rose has a different perspective on French cooking than your average Parisian. He has chosen to make his home and build his career in arguably the world’s most famous—and chauvinistic—food city. But if minimalist decor and a modern French menu were all it had going, Spring would be lost in a sea of similar establishments. What makes this spot so sought after is the chef’s cuisine. A native of Chicago, Rose has a different perspective on French cooking than your average Parisian. But the fact that he has chosen to make his home and build his career in arguably the world’s most famous—and chauvinistic—food city is no mean feat. 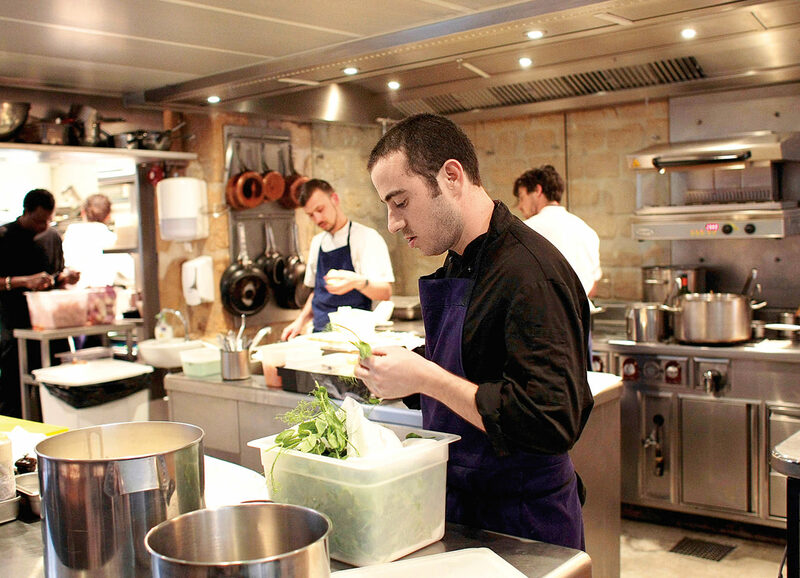 Think about it: When was the last time you heard about an American making waves on the Paris restaurant scene? Never. 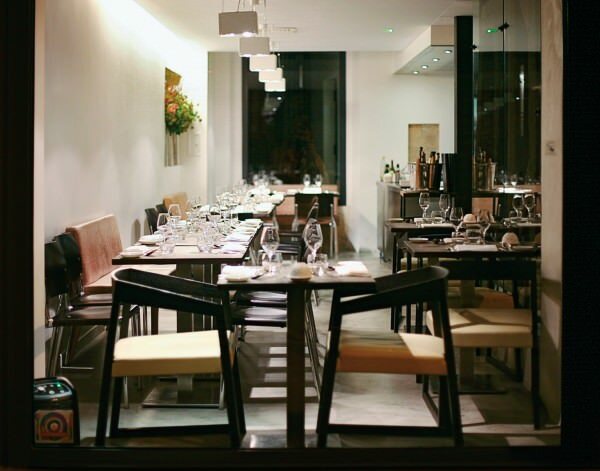 The 45- to 60-seat Spring restaurant in Paris. Photo by Owen Franken. Top photo by Emmanuel Fradin.